Mary Wilkins Ellis. Photo courtesy of Phyllida Scrivens via John Kenyon. 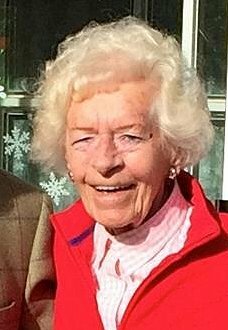 A petition has started OnTheWight to gain support for the suggestion that the Freedom of the Wight should be bestowed upon war time ATA pilot Mary Ellis. Isle of Wight resident Mary reached her 100th birthday this month. After the war she became the first female commandant of an airport in the UK, when she took up the position at Sandown. She has lived in the town ever since and done the Island proud. Although the ATA were never in combat with German aircraft, the job of ferrying British planes was a dangerous one. Many of them were damaged or defective, being flown to repair workshops. It is a sobering thought that 152 ATA personnel died; 14 of them were women pilots, plus 1 female flight engineer and 1 female cadet, 132 male pilots died and 4 male cadets.